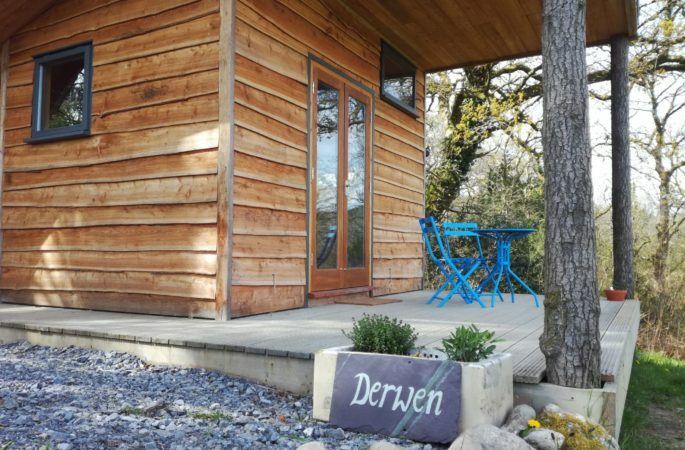 On coming down the track to Llwynbwch you find a secluded, calm, relaxing space; perfect for escaping the hustle and bustle of modern life. Llwynbwch Barn is off the old farm yard and the two cabins Hafan and Derwen, are hidden near by waiting to be discovered. Hafan looks West across its meadow and captures wonderful sunsets over ‘the Fan’, the local hill. Enjoy starry skies from the deck, toast marshmallows around the campfire or cwtch up inside by the woodburner with a good book. 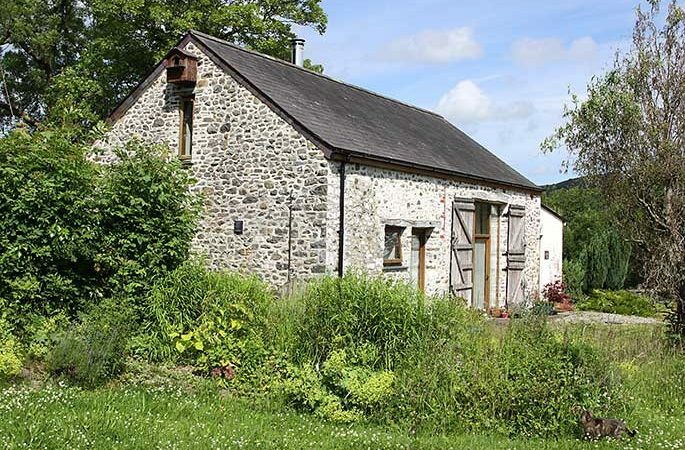 Light and airy, Llwynbwch Barn has been lovingly converted to a very high standard. Originally a hay barn, this is now a wonderful homely space. The main room has a cathedral-like vaulted ceiling with skylights to let the sun or star light stream in. The wood burner is a central feature with its spectacular chimney. Derwen looks east, over the meadows and woods and across the valley towards the tiny village of Llansadwrn. Enjoy beautiful sunrises and perhaps catch a glimpse of deer. 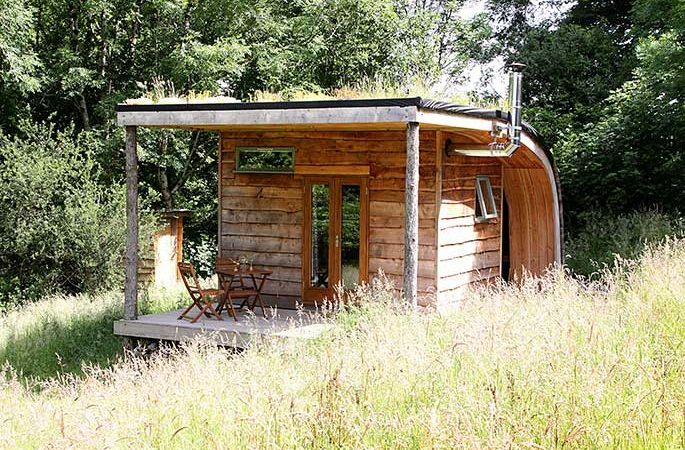 The cabin is light and airy by day and yet still snug and cosy by night.